It has been estimated that up to one quarter of the world’s soil biomass is of fungal origin. This comprises ~1.5 million species, with only 700 thousand identified up to now (of which in turn 75 % belong to the Ascomycota phylum). Fungi are vital for the ecosystem functions, segregating a broad range of hydrolytic enzymes that can break down complex biopolymers and producing chemically and structurally diverse secondary metabolites. Fungal secondary metabolites are a virtually unlimited source of probes for fungal biology, including some signalling in cell-to-cell communication pathways which control e.g. pathogenicity. Some fungal secondary metabolites are now clinically significant drugs. The Applied and Environmental Mycology group aims at producing scientific knowledge which essentially highlights Ascomycota fungi biotech added-value. The research plan was set in order to tackle challenging global problems, such as pollution and sustainable biotechnological processes. Inspired by this scientific vision, we are investigating the persistent toxicity of halogenated pollutants and the remedial potential of particular filamentous fungi. Aiming to propose solutions for waste management, we have also pioneered the merging of biology and ionic-liquid chemistry and show that benign ionic liquids can be remarkable solvents. The potential of these solvents in processes aimed at extracting or modifying a broad range of natural products, including complex bio-polyesters, is currently under development. Biochemistry and functional genomics are being used to screen the response of fungal individuals and/or communities to natural and anthropogenic stress. To better understand the transduction pathway that connects chemical stimulus to cellular response, the studies are focussing on two model Ascomycota fungi: Neurospora crassa and Aspergillus nidulans. In this context, some early findings form the foundation of a growing interest in the genetics and functioning of fungal secondary metabolism. Keywords: filamentous fungi, Ascomycota fungi, Neurospora crassa, Aspergillus nidulans, ionic liquids, bioremediation, halogenated persistent organic pollutants, biodegradation, cork, fungal secondary metabolites, proteomics, transcriptomics and metabolomics. The Applied and Environmental Mycology group was formed in March 2008. 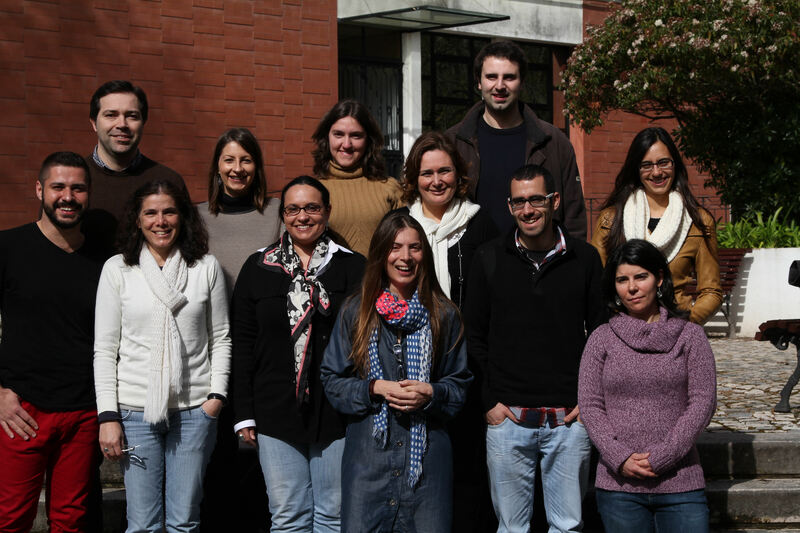 The group is led by Dr. Cristina Silva Pereira and now counts with five post-doc fellows, four PhD students, one M.Sc. student, one trainee and one superior technician.